← A little show of Resistance that failed to make the headlines! Wonder why? 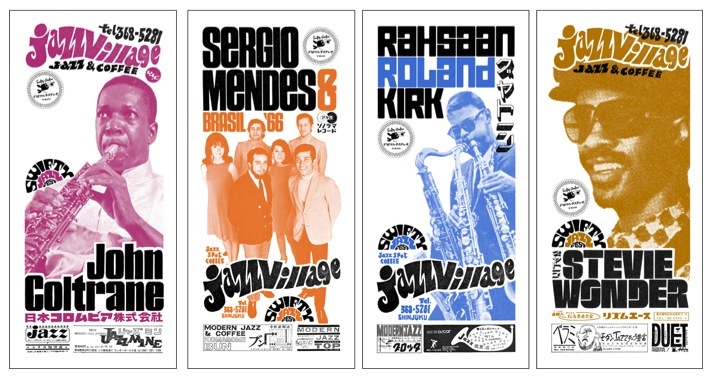 AS THIS YEAR’S annual Dingwalls Talking Loud & Saying Something session with Gilles Peterson and Patrick Forge approaches El Swifto has dropped four new Jazz Village prints to add to what’s fast becoming become an iconic series. As ever the prints are signed by Swifty and numbered in an edition of 50. Plus they are still on sale at the most modest price of £25.00 each! This entry was posted in Is That Jazz? and tagged Art, Dingwalls, Gilles Peterson, John Coltrane, prints, Rahsaan Roland Kirk, Sergio Mendes, Stevie Wonder, Swifty. Bookmark the permalink.